Electronic enthusiasts or anyone looking to create smart clothing may be interested in a new development board which combines both Arduino and Micro:Bit into a small board equipped with the ATSAMD21 and Arduino bootloader witches compatible with Micro:Bit accessories. 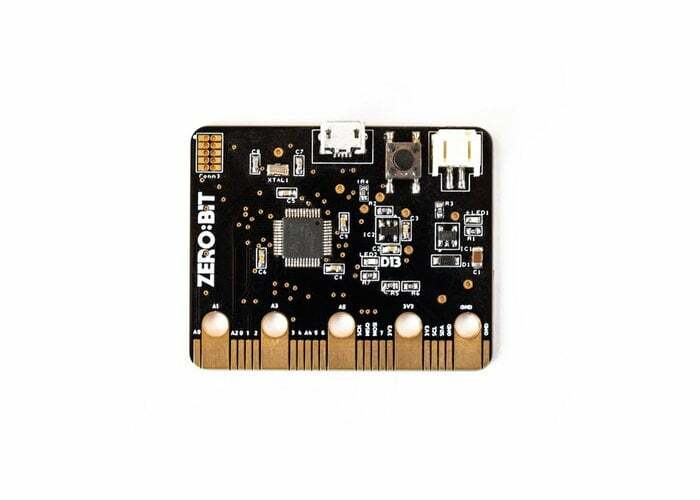 The small development board combines the Mico:Bit’s form factor and edge connector with the power and accessibility of the ATSAM21D18 Cortex M0+ processor. Easily programmable using the Arduino IDE, users can take advantage of the plethora of readily available libraries. With early bird pledges available from £16 the Zero:Bit is now available to back via Kickstarter and If all goes well will start shipping out to makers and enthusiasts worldwide during February 2019.